David Keyes, Netanyahu's spokesman with the foreign press, formally resigned on Wednesday, nearly three months after taking a leave of absence after he was accused of sexual assault by at least a dozen women, including then-New York state Senate candidate Julia Salazar. In November, she was elected. Keyes denied her allegations. She attracted widespread attention during her campaign as part of a new insurgent wave of self-described democratic socialists trying to topple establishment Democrats. Keyes issued a statement saying he had "decided to pursue new opportunities in the private sector." A Nativity scene in a Woodland, Oregon park was removed Tuesday after city officials said they received complaints questioning the Christmas display's presence on public land. Officials said the Nativity scene – featuring a manger, baby Jesus, Joseph, Mary, the three wise men, an angel and several genuflecting animals – would be moved to a privately-owned vacant lot. The city had allowed it to be displayed at Horseshoe Lake Park for the past few decades, with Finn estimating the manger had been set up in the park every holiday season for the last 40 years. If Apple moves here, all the capacity from the 600+ suppliers that go into the BOM will come with them. Former White House chief strategist Steve Bannon says Pope Francis is ‘beneath contempt’. Bannon’s declaration of hostility towards the Pope is interesting on several levels. His sworn enemy may well be what is commonly called the liberal elite. But that term is confusing. It no longer means just the liberal-left. It consists of two forces that were once sworn enemies – the internationalist left, for whom nations are the root of all evil; and the global capitalist right, for whom nations are a barrier to profit. Although neither force in this unholy alliance does God, both approve of the Pope because they, like him, are in favor of open borders. This above all explains Bannon’s damning verdict on Pope Francis. His parents say the bullying started for Joshua - who is not related to the 45th president - when Donald Trump began running for office. "He said he hates himself, and he hates his last name, and he feels sad all the time, and he doesn't want to live feeling like that anymore, and as a parent that's scary," said Megan. The school has agreed to immediately change Joshua's last name to his father's name in their system. 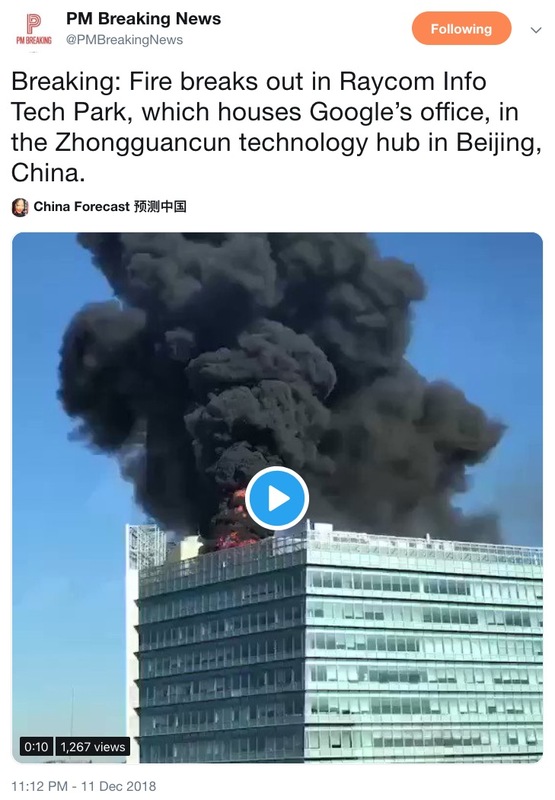 A roaring fire burst through the roof and caused mass evacuations at Google’s office in Beijing’s Zhongguancun tech district – known as China’s Silicon Valley. 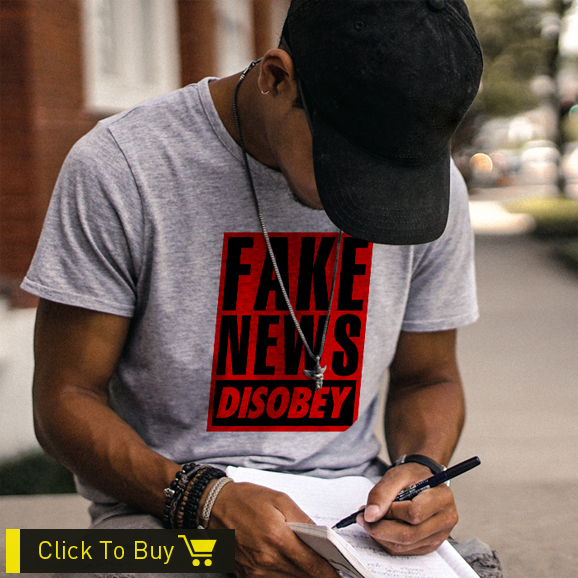 Google CEO Says No Plan to ‘Launch’ Censored Search Engine in China"
GOOG says NO PLAN TO LAUNCH……. What if GOOG already gave access to China? WILL CHINA BE ANNOUNCING A STATE-FUNDED & STATE-MADE NEW SEARCH ENGINE IN THE COMING MONTHS? The FIRE that brought down GOOGLE. Mr Macron's leadership is hanging by a thread after the Yellow Vest protests posed the most formidable challenge yet to his presidency. Leftist MEPs said Thursday's vote is the result of 18 months of fiscal injustice and called on the French president to "radically change direction". Should have never made that anti-nationalist speech. Trump Curse in full effect. Canadian court has granted $10 million bail to Meng Wanzhou of Huawei Technologies, the huge telecommunications company in China embroiled in suspected charges of fraud linked to alleged sanctions violations in Iran. Her arrest on a U.S. warrant has increased tense trade relations between the U.S. and Canada with China. Meng will face an extradition hearing on Feb. 6 in British Columbia. She faces extradition to the United States. Her arrest has been characterized as having “set off an international furor” because, for one, Washington has previously raised concerns about the Chinese conglomerate because of its links to Beijing’s government.